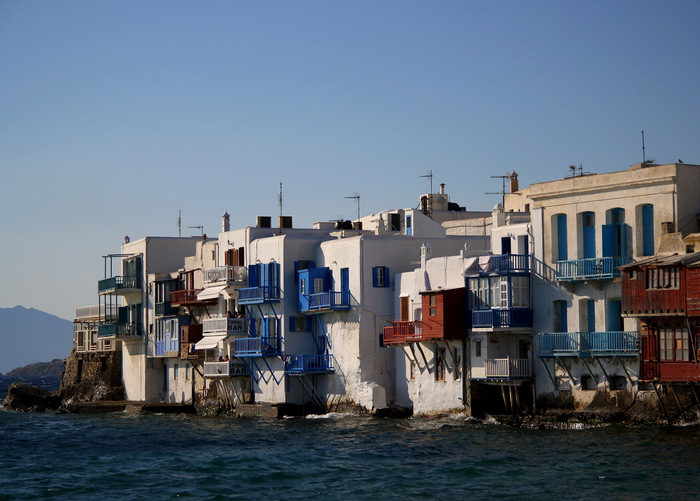 Re-visited from the archives: Mykonos, Greece. 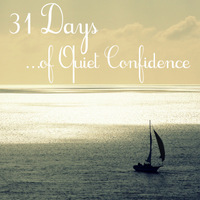 This entry was posted in 31 Days (October 2012), Photo of the Week 2012 and tagged 31 days (confidence), Greece, Greek islands, Mykonos, Paul, Paul's letters, photography, quiet confidence on October 7, 2012 by Emily Gallimore. On this day last year, I was in Athens as part of a seminary class on Paul’s New Testament Letters. I took this photo from the Areopagus (Mars Hill) where Paul told the men of Athens about the one true God that they had previously been worshiping, and even built an altar to, as “the unknown god” (see Acts 17:16-34). As I said last year, walking in the footsteps of Paul on this trip, and especially in Athens, brought out the depths of Paul’s ministry in a whole new way as I witnessed the places where he had been intensely working, selflessly serving, compassionately ministering, fiercely loving, fully living, and boldly proclaiming the Gospel of Jesus Christ. This entry was posted in Photo of the Week 2012 and tagged Athens, footsteps of Paul, gospel, Greece, Paul's letters, photography, religion, seminary, travel photography on June 24, 2012 by Emily Gallimore. life and breath and everything. Far too often, rather than approaching the Lord in a state of breathlessness, being fully caught up in the Wonder and Awe of who He is and what He has done, it seems that we find ourselves approaching Him just plain out of breath. Begging for the energy to go on. But if the Lord gives us – to ALL mankind – life and breath and everything, if the Lord is not far from us, if we are the Lord’s offspring, if in the Lord we have our very being. Then perhaps our seemingly-too-frequent experiences with spiritual exhaustion and burnout are reflective of moments in which we’re not seeking God, in which we’re not feeling our way toward him, in which we’re not depending on His power, in which we’re not resting in His peace, in which we’re not allowing Him to be our everything. He’s placed us here. He’s hoping to be found. He’s actually not far. This entry was posted in Devo Thoughts and tagged acts, Christ, Greece, life, Paul's letters on September 23, 2011 by Emily Gallimore. 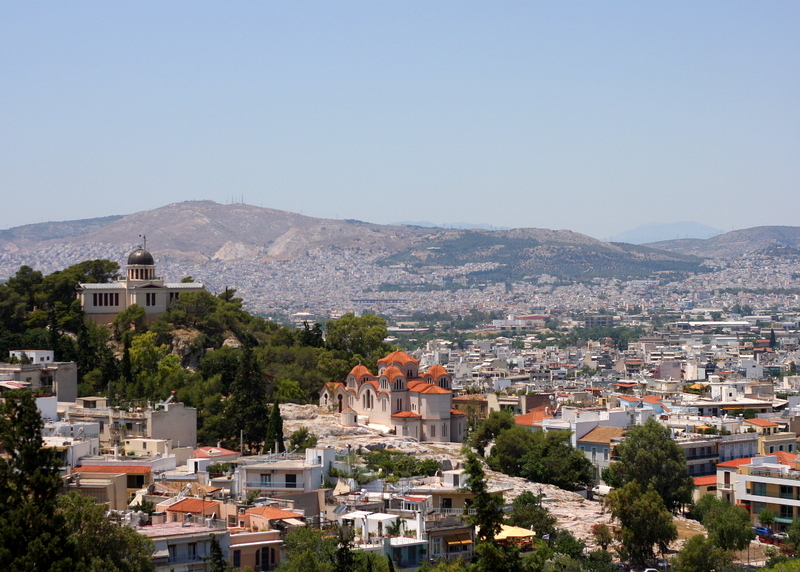 There were several aspects of my trip to Greece to study Paul’s New Testament Letters that were unexpected, unanticipated, and (in a few instances) even downright unwelcome. But although I was stripped of many expectations, when it came to my experiences at the ruins of ancient sites with clear Biblical and Pauline ties, I can’t even find the words to fully express how my expectations were not met. . .rather, they were surpassed. exceeded. overwhelmed. And honestly, I still feel that way much of the time. But I’m beginning to realize that I may not be able to fully process some of my experiences until a later date…perhaps when I’m more able and equipped to deal with the reality of the resulting conviction…perhaps when I’m in need of encouragement to endure through an all-pervasive desert…perhaps in a moment when I’m asked to go beyond myself and reach someone else. We visited Philippi on the second full day of the trip, and it was pretty much amazing! On our three hour bus ride to the site, we had the privilege of hearing Elizabeth read Philippians 2:5-11 in Greek before Dr. Sean (our professor) led a discussion regarding the significance of self-sacrificing love and service based on the same passage. . .all while passing by traditional white-washed, red-roofed houses beside the lake to the right and several sheep herds on the hillsides to the left. From the ruins of the marketplace, the church, the gymnasium, and the bathhouses to Paul’s prison and the nearby theater, this was one of the first moments where I began to see Scripture realized in a whole new way. See Acts 16:16-40. While standing in the middle of the ancient Agora, I experienced yet another powerful moment of Scripture realized as I looked up to my right at Mar’s Hill and looked up to my left at the Acropolis and knew Paul stood in the midst of all this, too. Intensely working. Selflessly serving. Compassionately ministering. Fiercely loving. Fully living. Boldly proclaiming. See Acts 17:16-34. 5:17am came much too early, but Ephesus was totally worth it! The whole site is only 10% excavated, but because it’s so well preserved, you don’t have to stretch your imagination too far to see the clearly identifiable roads, structures, and layout of the city. As I visualized and contextualized familiar Scripture and Paul’s life and journey came to a fuller reality in my mind, I was encouraged and challenged to live fully and walk boldly in my faith. To imitate Christ as Paul did. . .proclaiming the gospel whenever and wherever possible. Even if that means being willing to approach a riot in a theater that holds 25,000 people. See Acts 19. This entry was posted in Travels & Outings and tagged Biblical sites, Greece, Paul's letters, travel on July 23, 2011 by Emily Gallimore. After somewhere around 11 hours of actual flight time, 10 hours of sitting in airports (or being transported via shuttle from one to another), 3 countries, and 2 customs lines, our group of 19 (6 students plus 1 professor from Gordon College and 11 students plus 1 professor from Gordon-Conwell Theological Seminary) arrived in Thessaloniki on Saturday where we met up with David and Elizabeth, our tour leaders, and Theodore, our bus driver for the next two and half weeks. While riding through Thessaloniki from the airport to the hotel, although feeling tired and overwhelmed, observing the contrast of the land before me – the arid land on one side with blue water on the other, the old architecture with the modern multi-story complexes, the expanse of the hills with the density of the city buildings – was awesome and foretelling of what lay ahead. Sunday morning came early as we left the hotel after breakfast for a session of formal introductions and basic trip orientation outside of the Church of Saint Demetrius, a Greek Orthodox Church in Thessaloniki. After sharing some of our expectations for the coming days, we entered the church to observe the priest’s blessing at the end of the service, walked outside to engage in a brief discussion on and explanation of Greek Orthodoxy, and then re-entered the church to tour the facilities a bit more extensively. From the church, we walked past the ancient Agora (from the Roman period if memory serves correctly) and on to the Rotunda and Arch of Galerius. We then got on the bus and headed toward the sea where we ate lunch in a restaurant overlooking the water along with four pastors from the Greek Evangelical Church. After lunch, we listened as the pastors (who had come to the States to study theology and then returned to their people who they so desperately felt called to serve) described the difference between Greek Orthodoxy and Evangelicalism and shared their heart for their fellow countrymen. The primary concern of each of these pastors was/is to see the people of Greece embrace faith through a personal relationship with Jesus Christ rather than relying on the Orthodox Church – where they find their entire identity, both culturally and spiritually – to be their salvation. Before returning to the hotel for the night, we headed to the beach where we swam (or in my case, waded) in the Aegean Sea and observed castles on the beach made of pebbles instead of sand. On Monday, we started off at the probable site of Lydia’s house just outside of Philippi where her Baptistry is now located. “To the river I am going bringing sins I cannot bear. Come and cleanse me, come forgive me. Lord, I need to meet you there. In these waters, healing mercy flows with freedom from despair. I am going to that river. Lord, I need to meet you there. Precious Jesus, I am ready to surrender every care. After lunch, we headed to the ancient ruins of Philippi (the details of which I will save for another post) and then to Neapolis (Kavala) to see a beautiful mosaic illustrating Paul’s vision and arrival at this port city before we returned to Thessaloniki for one more night. Before leaving the northern part of Greece to begin our journey south towards Athens, we stopped by the market in Thessaloniki on Tuesday morning, where I had fun experimenting with “street photography”. 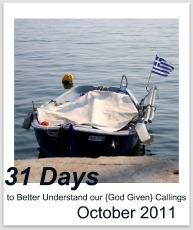 This entry was posted in Travels & Outings and tagged Greece, Paul's letters on July 12, 2011 by Emily Gallimore. My body may still be slightly fatigued from jet lag and my mind may still be processing the experiences of the past few weeks…but today…I am grateful. Grateful for the opportunity to walk in Paul’s footsteps throughout Greece (and Ephesus), grateful for the prayers that surrounded the trip, grateful for the courage to take a risk, grateful for the perseverance to see it through, grateful for the renewed longing and love for Scripture, grateful for the conviction to more passionately pursue and imitate Christ, and grateful for a wonderful couple who, through their faithfulness to God’s calling in the founding of Footstep Ministries, made this experience possible. As I continue to edit my photos and read through my written thoughts concerning my experiences in Greece while studying Paul’s New Testament Letters, I find my words to be empty…lacking…inadequate. Yet in some seemingly futile attempt to transition slowly back to routine, to consider the richness of my experiences, to acknowledge the growth and change from all that I saw and heard in such a short time, I am reminded of the question I found myself pondering as we hiked down from John’s grotto on the Island of Patmos. How do I come back from that place of reflection and make sense of the routine? And although the routine no longer involves deciding which buffet to try for dinner, in essence, in this moment the question remains the same. In some ways, I already know that the visits to Biblical and historical sites were humbling and inspiring, that I will never read certain passages of Scripture the same again, and that I am forever changed. Still in other ways, it seems that recognizing and processing the true impact of these experiences has only just begun. . . This entry was posted in Travels & Outings and tagged cruise, Greece, Patmos, Paul's letters, Revelation on July 8, 2011 by Emily Gallimore. As I mentioned here earlier this week, and alluded to here while at the beach, I have a BIG announcement today. Tomorrow morning, I will be catching a plane to Boston where I will meet up with 9 other seminary students and a professor and then travel to Greece for a 2.5 week class studying Paul’s New Testament Letters on location! I am excited, yes, but I am also nervous. It seems that travel (or at least the preparation to travel) brings out the worst in me. This is clearly evident through the flesh-spirit struggle that seems to be working on overdrive within me on an almost hourly basis. In moments when my flesh takes over, my nerves get the best of me, I get caught up in the insignificant details of international travel (from how to deal with a food allergy to how to best pack my electronics), and I put up a front of determination to be completely self-sufficient and prepare for all possible contingencies. But in the moments when I willfully submit my spirit to the Lord, which has been best achieved during my times of reading Paul’s Letters over the past few days (I only have 1 & 2 Corinthians left! ), I can’t help but know a great peace surrounding this trip to Greece and know that, just as Paul writes to the various churches and individuals, for the next couple of weeks I am called to be in community with 10 fellow believers (albeit strangers) . . . to love, to serve, to pray . . . more and more . . . and I better live in a manner worthy of this calling. The circumstances surrounding this trip are far different than I had anticipated. I have lost all sense of security and feel as though I am walking into the complete unknown. . .but maybe that was God’s plan all along. Although I am uncertain of internet accessibility during most of the trip, there will be several posts in my absence (including some guest posts from some pretty amazing people!) and I hope to be able to check in a couple of times as well. You didn’t think I’d actually leave you with nothing for two whole weeks, did you? I would greatly appreciate your prayers while I am in Greece. Sure, I have some anxiety regarding the travel details, but I know that those will ultimately work out. Mostly, I ask that you pray that I would appreciate each moment, that I would live according to the Spirit, that I would invest myself fully, that I would study and learn productively, that God’s Word would come alive in a real and fresh way, and that I would be available to be used. Just a few short hours away from departure, in some ways I feel completely unprepared and in other ways I feel completely equipped. 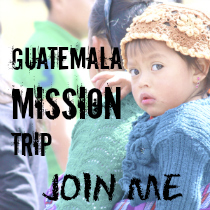 But in all ways, I am expectantly praying that this trip is life-changing, God-honoring, and eye-opening: to His word, to His calling, to His purpose, to His people. This entry was posted in Life and tagged Greece, Paul's letters, student stories, travel on June 16, 2011 by Emily Gallimore.